Flu Armour NIOSH Surgical N95 Particulate Respirators (Masks) uphold a filtration level and fluid resistance universally recognized in the prevention of the inhalation of airborne microorganisms. This medical grade respirator was designed to filter out viral pathogens and effectively protect the respiratory system (nose and mouth) in a pandemic environment. Each respirator is individually wrapped with instructions printed on the packaging. This ensures proper usage, reduces liability, and protects from viral contamination outside the box. Respirators are folded flat, making it portable and easy to store without being crushed. -Occupational Safety & Health Administration, Guidance on Preparing Workplaces for an Influenza Pandemic, February 2007. *OSHA regulations require fit testing of all respirators prior to use in order to determine if proper fit is attainable. Individual facial features, including facial hair, may prevent proper fit. Qualitative Bitrex Respirator Fit Test Kits for OSHA compliance are available on our product menu. A respirator (for example, an N95 or higher filtering facepiece respirator) is designed to protect you from breathing in very small particles, which might contain viruses. 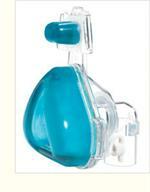 These types of respirators fit tightly to the face so that most air is inhaled through the filter material. To work the best way, N95 respirators must be specially fitted for each person who wears one (this is called "fit-testing" and is usually done in a workplace where respirators are used). Most of the time, N95 respirators are used in construction and other jobs that involve dust and small particles. Some healthcare workers, such as nurses and doctors, use these types of respirators when taking care of patients with diseases that can be spread through the air. If you have a heart or lung disease or other health condition, you may have trouble breathing through respirators and you should talk with your doctor before using a respirator. 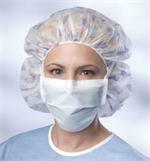 Like surgical masks, N95 respirators should be worn only once and then thrown away in the trash. Neither a facemask nor a respirator will give complete protection from the flu. That is why it is important to wash your hands often, cover your coughs and sneezes with a handkerchief or your arm, and avoid crowds and gatherings during a pandemic. To learn more about these and other issues relating to pandemic influenza, visit http://www.pandemicflu.gov.